Supports: Most 7mm/9.5mm 2.5 inch SATA I/II/III HDD and SSD up to 2TB (Max). 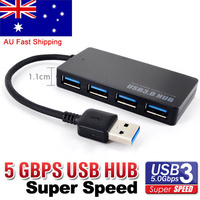 Ultra-Fast USB 3.0 Supports UASP Protocol: SuperSpeed USB 3.0 has a maximum data transfer rate of 5Gbps, 20% faster than traditional USB 3.0, with UASP Transfer Protocol. 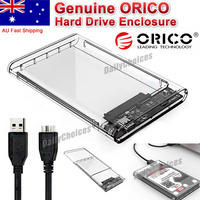 Transparent Design, Easy Your Life: Help distinguish which hard drive is inside easily, designed to be a beautiful addition to your desk. Full of Smart Features, Super Easy to Use: Tool-free installation; hot-swap plug and play; LED indicator; compatible with Windows, Linux and Mac. Notes : Suit for 7mm and 9.5mm 2.5 inch hard drives; 12.5 mm hard drives are not recommended for this product.